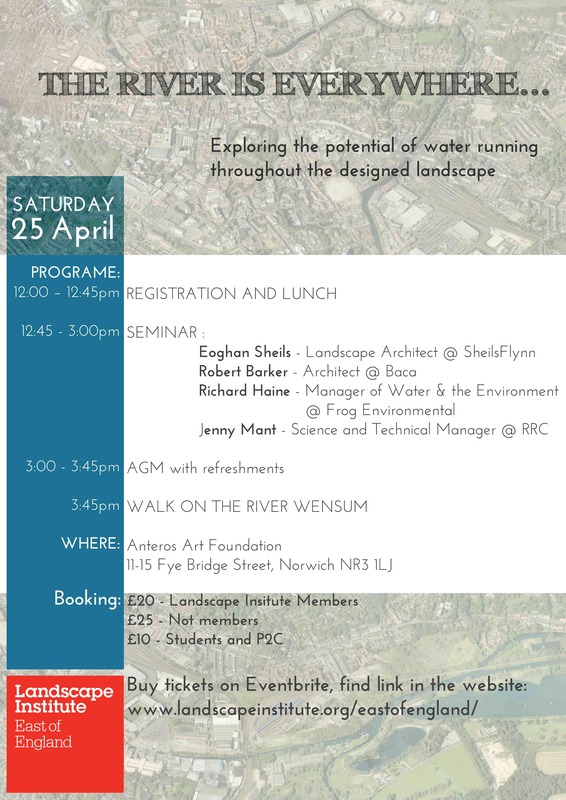 This weekend, the Landscape Insitute’s AGM in Norwich will be accompanied by a series of inspiring talks exploring the pivotal role that water has in its purer landscape form: rivers. A group of expert speakers will be sharing their experiences in dealing with rivers in various design fields and disciplines at The River Is Everywhere event. This entry was posted in Uncategorized and tagged amphibious, architecture, blue infrastructure, blue water thinking, buildings, built, Climate Adaptation, Climate Change, design, ecology, elevated, engineering, Event, floating, flood, Flood-risk, Landscape, Landscape Institute, Master planning, Norwich, research, River, solutions, walk, water. Bookmark the permalink.